All our Mosaic Mirrors are hand made by gifted mosaic artists. Throughout history, mosaic art is one of the highest manifestations of aesthetics, spirituality and luxury. With over 3000 years of history, “Mosaic Art Gallery” gives the innovative use; not only as an element of interior, but adapted to modern stylistic and communicative needs. Our handcrafted artistic mosaic mirrors will become a focal point of your personal style. Complete your interior design look by displaying a few other pieces that highlight the accent color in your mirror. You will notice your room will appear bigger, brighter and definitely more stylish. 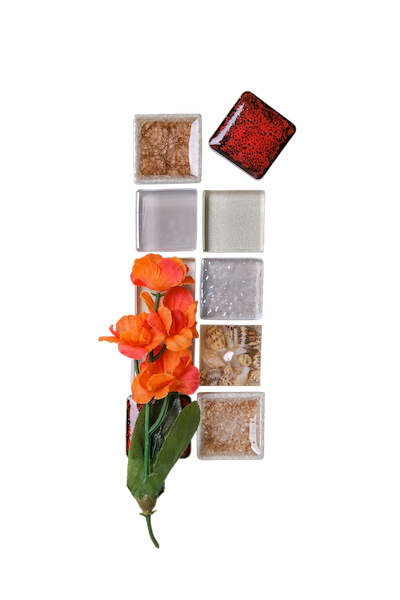 Our skilled artists compose the artistic mosaic mirrors using fine glass and/or ceramic tiles, presented in a variety of sizes, colors and textures. The tiles are cut by hand to design and achieve the desired effects. Thanks to its versatility and aesthetic value this technique has been used for centuries. The classic mosaic mirrors are composed in timeless and elegant designs. Simple, yet exquisite. Our signature mosaic mirrors are more intricate and distinct works of art. A display of exceptional beauty. One-of-a-kind scenic mosaic mirrors crafted with great care, featuring an artistic picturesque scene.